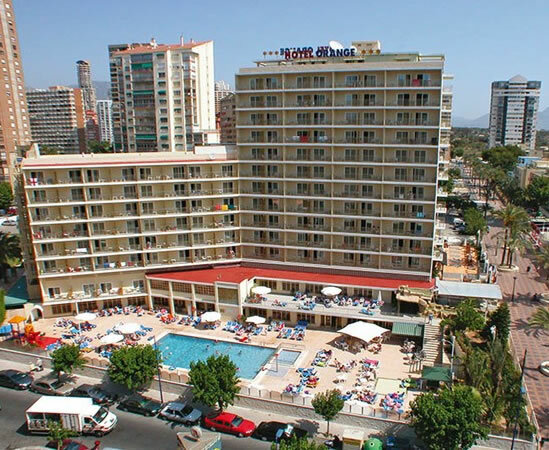 The Servigroup Orange Hotel is just a short 250 metre walk from the famous Levante beach and the lively Rincon-de-Loix area of Benidorm on Spain's sunny Costa Blanca. Fully refurbished in 2011 the hotel is elegantly decorated, this popular 3 Star hotel makes a pleasant and affordable base for couples and families alike. 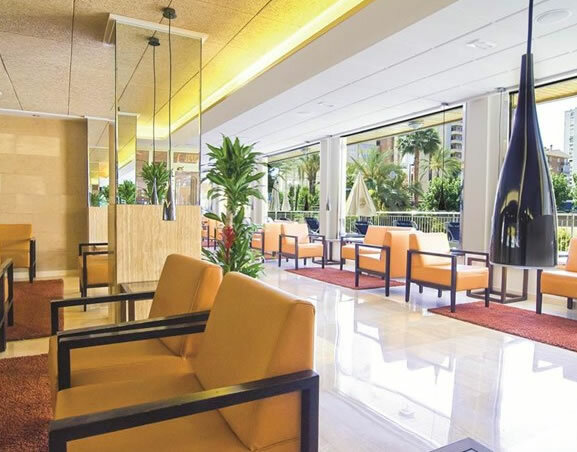 Transfers take around 60 minutes to make the 35 mile journey from Alicante airport. The hotel features 247 well equipped rooms with air-conditioning/heating, full bathroom, balcony (except for single rooms), free WiFi, direct dial telephone, new flat screen TV including the latest digital system with 60 national/international channels plus 15 music channels, mini-fridge, and safe (supplement). There are several room types including singles, twins and triples. Cots are available (payable locally). The hotel also has 8 new rooms completely adapted for the disabled. Interconnecting bedrooms for families are available but are subject to availability on arrival at the hotel. The Servigroup Orange opeatares a half Board accommodation arrangement with an option for Full Board. meals are taken at the award winning Servigroup Orange's hotel restaurant: it offers breakfast, lunch and dinner with show cooking with the freshest of ingredients and a select and variety of assorted dishes including themed dishes, vegetarian choices and mouth watering desserts. A special celiac menu is available on request. The hotel has an ample sun terrace with swimming pools for adults and children (electrolysis disinfection), surrounded by sun-loungers and parasols with bar and garden area. Kids will enjoy their own playground and games room. 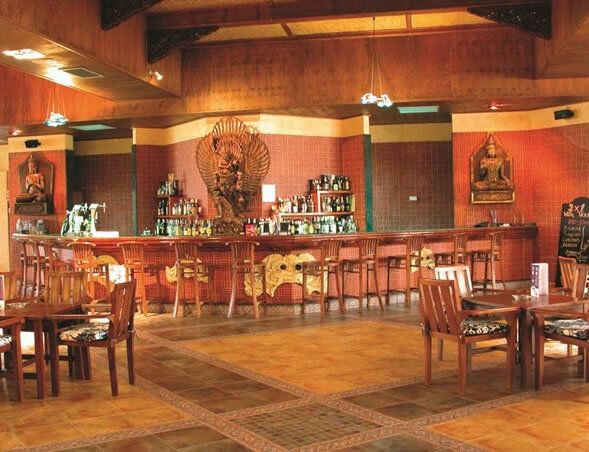 During the summer season there is regular daytime and evening entertainment, the hotel also has the brand new Sanctuary Cafe with live music, or the lounge bar overlooking the sun terrace, with cabaret and dance programme. The hotel has a 24 hour reception. There is free Wi-fi throughout the hotel, Servigroup shop/boutique with souvenirs, gifts and accessories. Computer with Internet connection (supplement). The hotel also has a panoramic lift and secure car parking spaces (supplement). It is also possible to exchange currency and rent a car (you can always pre-book your car rental before your departure, please ask us for a quote! ).